Please join us in honoring the spirit of Monica Cardenas. She had a kind heart with a love for nature and helping children. Monica was a volunteer and wife to another volunteer, the late Judge Raymond Cardenas. 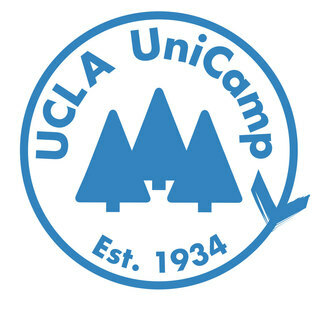 A donation to UCLA UniCamp will support the organization where Monica and Raymond met, where they volunteered, and the cause that they passionately believed in. Monica Cardenas (R) with her daughter Marion Hookstratten (L) at UCLA UniCamp's Gala in 2015. Marion, The ladies in your book club love you and are sorry for your loss. All our love, Luan, Lauren, Eve, Michelle, Valerie, Linda, Marcie, and Colette. In honor of two wonderful people, Monica and Ray Cardenas. Marion -- I know who much you loved your mom! Thoughts and prayers your way from the Jamesons! Monica was a bright light in our lives. Peter (Crosby) and I will always think of her fondly. Monica and Ray Cardenas were two wonderful, generous and very special people. I am fortunate that UniCamp brought us together. It was a friendship built on a dedication for all that UniCamp represented and the way it enriched our lives.